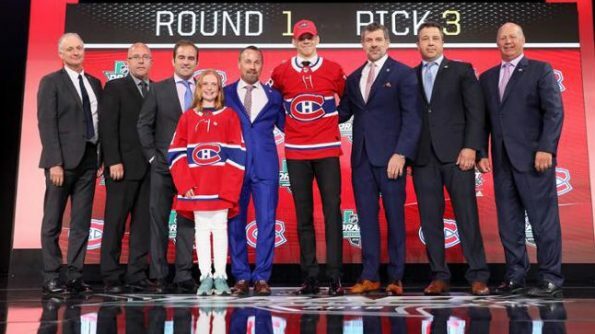 The Montreal Canadiens had a terrible 2017-2018 campaign, but it may have set them up for future success after the franchise selected Jesperi Kotkaniemi with the third overall pick in last night’s NHL Draft . With the third pick in the #NHLDraft, the Canadiens select centre Jesperi Kotkaniemi. In the midst of the 17-year-old making his way down to the podium to greet officials and do interviews, there was a young lady seated on the steps trying to take pictures and videos. However, she seemingly forgot she had a dress on and went full commando that day. WOWZA!!! If you’d like to see the NSFW version, you can do so here.